It has never been more important to get involved, Tory policy is threatening our public services, our human rights, our privacy and our economy all the while giving tax breaks to the 1%. In 2010 the Greens nationally elected Caroline Lucas as the UK’s first Green Party MP. There are hundreds of Green Party Councillors across the country. Help us elect more MP’s to stand up for you! 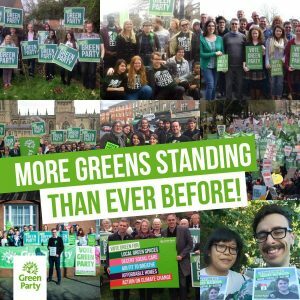 Join the Green Party today to become a part of a party that is fighting for greater equality, better public services, a sustainable economy and to save the environment.